Google is now putting up past images used on its Street View service, so that they can be matched with the most recently taken images. 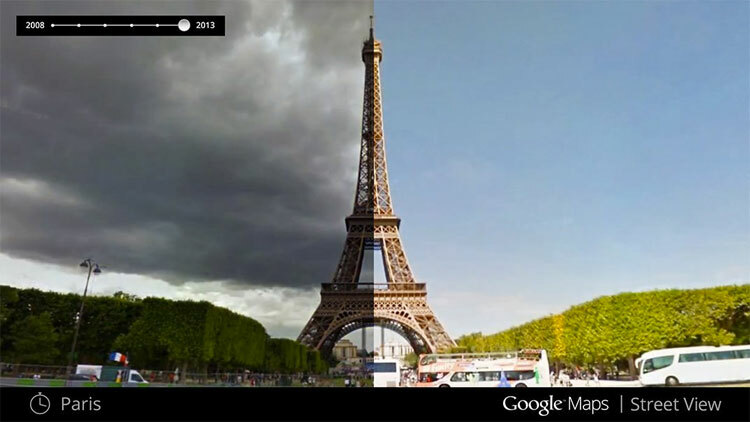 By comparing the different pictures over the years side by side, users can now see how different places have changed over time. The feature is not yet available to everyone, but when it has been fully rolled out to all users, it will be accessible on Google Maps for anyone using a browser. Using a clock icon in the top left hand corner of the page, users will be able to go back and see a range of things such as the construction of the 2014 World Cup stadiums and the destruction caused in Onagawa by the 2011 earthquake. After selling the majority of Motorola Mobility to Lenovo for a staggering $2.9 billion, Google made sure to keep hold of one part – Motorola’s Advanced Technology and Projects group. Google and New Deal Design have now announced their plans for a modular phone as part of a concept called Project Ara. Project Ara allows you to swap different modules around the exoskeleton of a phone, meaning you can change the battery, camera, screens and more. This opens up a whole host of opportunities where third parties could provide their own modules for a more open spec. A current prototype uses electropermanent magnets to attach each module, so that the modules are all physically and electronically independent from each other but can still work together to establish an ecosystem phone. We are excited to see how this could develop further down the line. A Twitter campaign launched by the NYPD this week has unfortunately completely backfired on them. The official NYPD account asked their followers to send in pictures of themselves with officers using the hashtag #myNYPD as part of a new social media campaign. Unfortunately, instead of the influx of friendly pictures they had hoped for, they received a steady stream of pictures that showed different levels of aggression from the NYPD, all using the same hashtag. By Wednesday, the hashtag had even started trending and more people were joining in to send pictures of hostile situations. Social networks are often the go-to place for breaking news, and Facebook have now taken further steps to ensure that they are the first place readers go to when looking for reliable news stories. FB Newswire was launched on Thursday and displays a page of carefully handpicked news stories that have been chosen from across Facebook’s platform and then verified by journalists. The news page was launched in conjunction with news agency Storyful, who aggregate news related content that has been shared on social networks. They will use a certain algorithm to collate content and break it down into different categories before sending it to journalists to verify.